Julia is the lead teacher for Berkshire Country Day School’s two-year-olds class in the expanded early childhood program. She says, “I love that teaching immerses me every day in children’s growth and change. I love witnessing young children’s intense unadulterated joy. 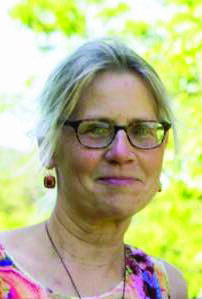 And I love that good teaching—being observant, reflective, and responsive to the children—requires an essential creativity and spontaneity.” Julia brings over twenty years of teaching experience, working with children of a range of ages, from PreK through 6th. Most recently, Julia was the PreK teacher at the Middletown Springs School in Vermont for the past ten years. Of special note, Julia received the University of Vermont’s Outstanding Teacher Award in 2010. She particularly enjoys being a part of BCD’s very friendly and supportive community.